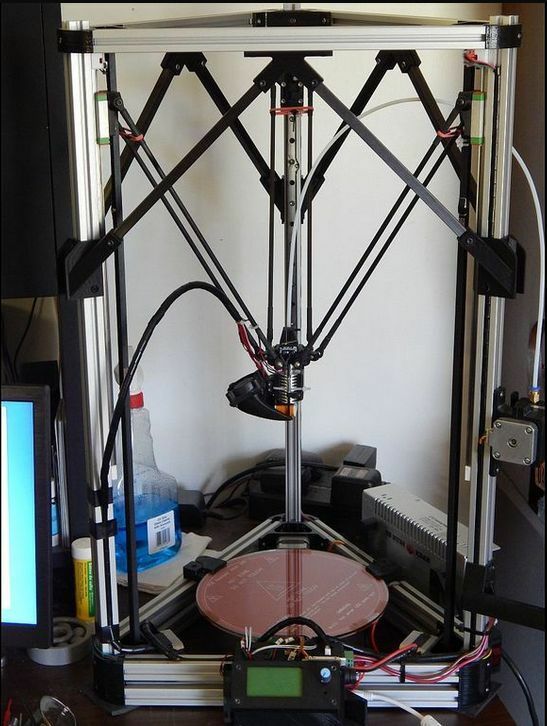 I’m late to the party, but my Kossel is printing now. John and Kevin have been extruding filament for a week or two already. The USB problem turned out to be a driver issue. Isn’t it always? The SD card can’t be mounted as a mass storage device while you are printing or windows interferes with it by doing housekeeping reads and writes to the SD card at random times. The results of the Kossel calculator shown a few message back turned out to be useless. The correct delta radius was determined experimentally with many iterations of changes and retests. Creating hotkey macros in Repetier host definitely saved a lot of time though. I considered trying Pronterface briefly, but it got uninstalled almost immediately after playing with it for a few minutes. What a POS. If you are using Pronterface, you really should try Repetier - it’s much more powerful and refined. The z-probe is all hooked up and ready to go, but I haven’t tested it yet. It’s printing beautifully with the manual calibration. The quietness of the machine is eerie. I’m using 1/32 microstep drivers in the AZSMZ mini controller and the fans are almost the only noise you can hear. 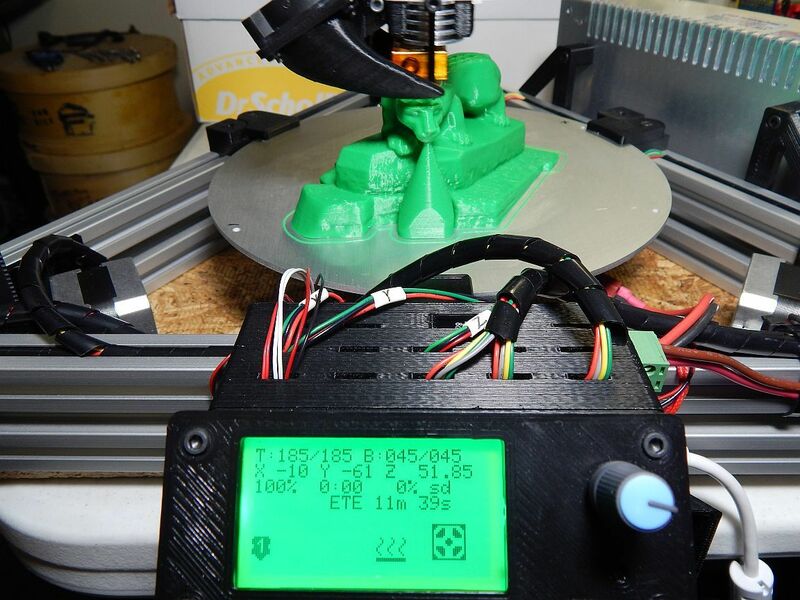 Amazingly smooth compared to my DaVInci V1.0 - which gronks and buzzes loudly while printing. Here are some small “hello world” objects. “Marvin” on the left. 250 micron. I think the extruder temp was a bit too hot. 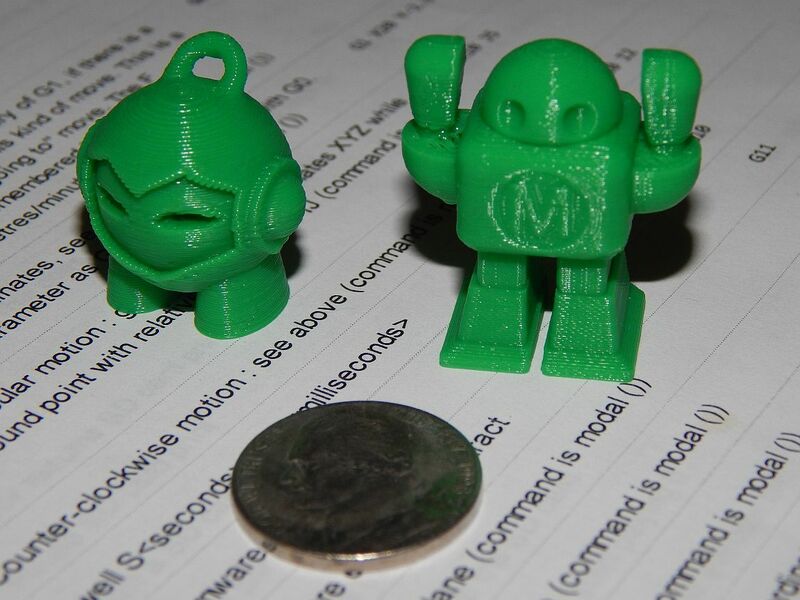 Makerbot “Make” robot on the right. 200 micron. Printed a little cooler, but maybe still a tad too hot. 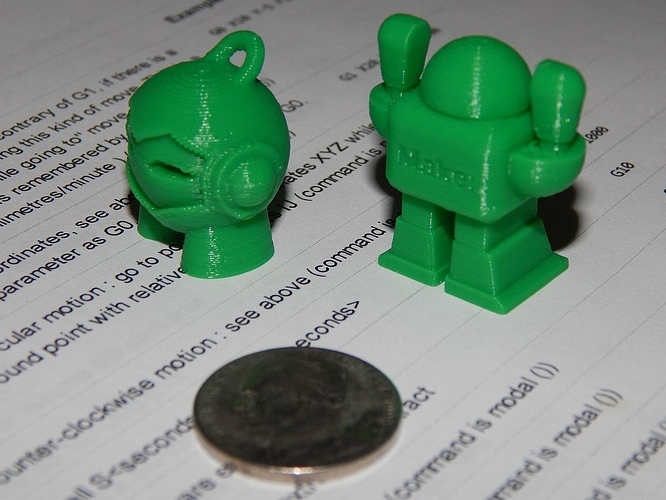 Noticeable difference in resolution between 250 and 200 micron. Here is a somewhat larger object. Nittany Lion scan found on thingiverse. 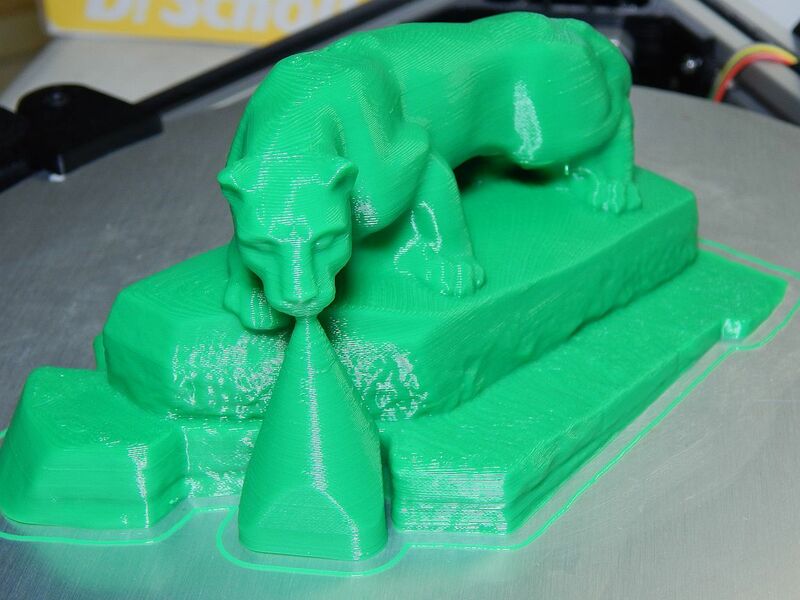 Printed at 250 micron. 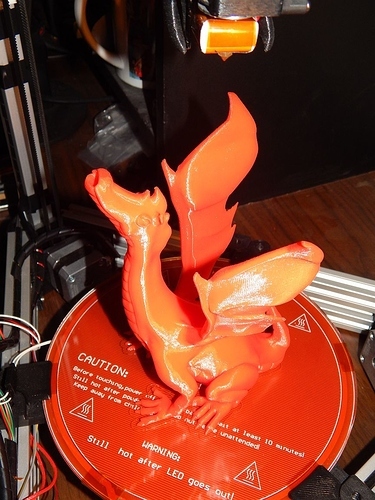 Now printing at 185C. This seems better. Here are a couple of just completed views. Support material under the chin not yet removed. This was a 3 hour print spooled from Repetier host across the USB. Apparently the USB communications is solid. I still plan to go WiFi as I did on my other printer. Will you be bringing this into the makespace to show this off? I think it would be cool if we brought in all three at once. I’ll have to check with John and Kevin to see what works best for them. Maybe sometime in the next couple of weeks we can plan on doing that. A few more refinements have been made. Swapped out the aluminum bed for a borosilicate glass bed with PCB heater. It’s smoother and flatter. Replaced problematic polyfuse with a real fuse on the heatbed MOSFET output (also upgraded the MOSFET). Heatbed now heats much faster. Also just custom designed and printed a spring loaded filament tensioner for the extruder drive. 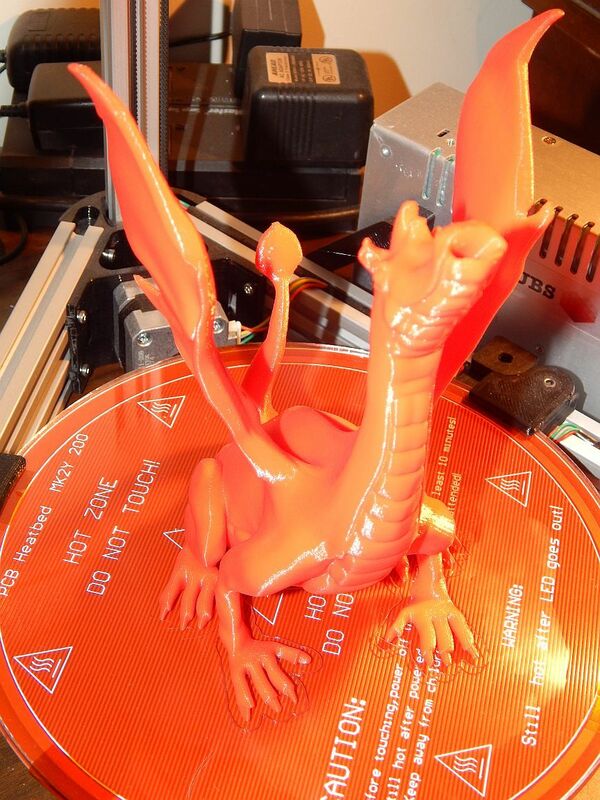 This Singing Serpent was printed 120% original size and is a full 176mm (~7 inches) tall ! 200 micron layer height. 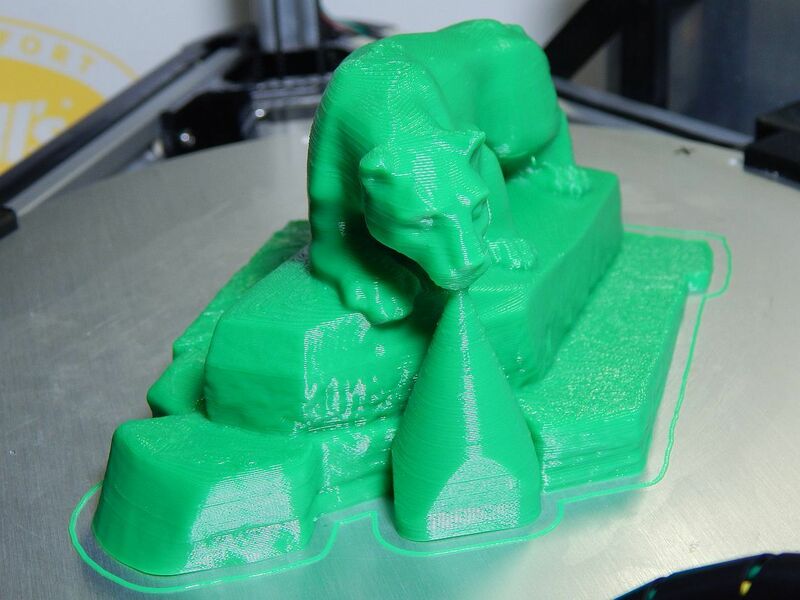 Took 7hrs 21 min to print. Print speed 50mm/sec. Click images once and then a second time to open higher resolution view. I’ve decided to create a collection of all of the parts that I designed for this project in one place for easy reference on Thingiverse. I modeled all of these parts in DesignSpark Mechanical, and I can provide the original RSDOC files if anyone wants to make modifications. 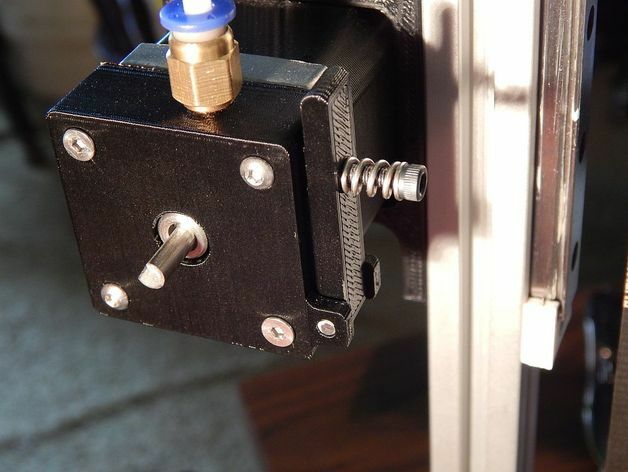 I just uploaded a completely new Bowden extruder design which uses an Mk8 drive gear today. Here is the link to the whole collection on Thinigiverse. I ordered Aluminium Extrusion, Aluminum Vertex, Aluminium E3D End Effector, and T-nut from Makeralot for my Kossel Mini. Since you ordered V-slot, I assume you are going with Delrin V-wheels or rollers on the carriages. The printers we built use MGN12 linear guides and carriages instead of V-wheels. I also have a Kossel Mini “kit” about half completed. I bought in on AliExpress a few weeks ago for $215 with the heated bed upgrade. It uses rollers on European 2020 extrusions. 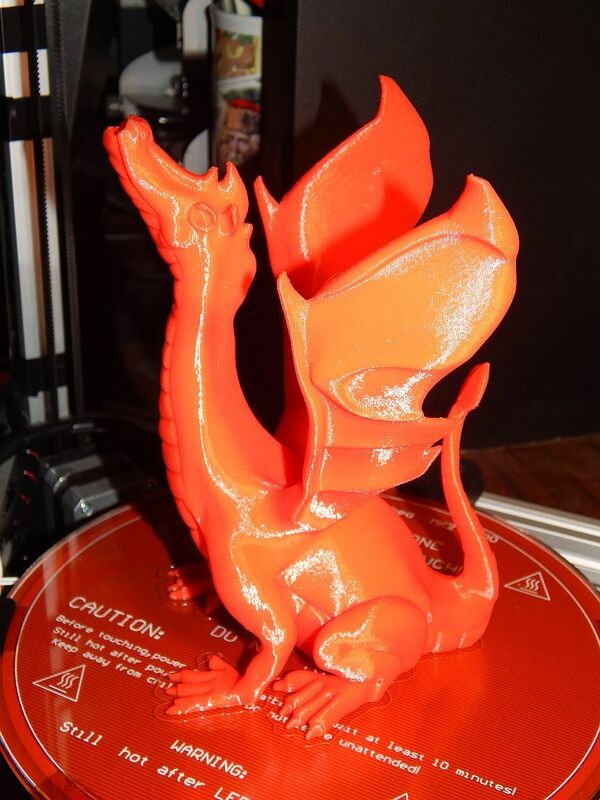 Most of the parts in the kit were good, with the exception of the injection molded and printed parts. I’ve reprinted them already. Still hard to beat for the price.